The NAIC's AG 49 will very likely slow innovation in IUL products as we know them today. 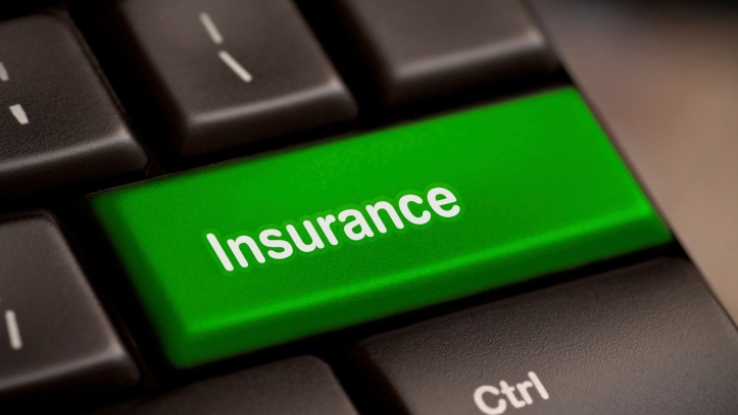 New actuarial guidelines adopted by the National Association of Insurance Commissioners will impose restrictions on policy illustrations for the industry’s hottest-selling insurance products, indexed universal life. And that will likely translate to greater uniformity and less innovation in the design of the products. Randy Kemnitz, a subject matter expert at Kaplin University where he writes the insurance curriculum, forecasted this outcome at an Oct. 4 education workshop of the 2015 annual meeting of the National Association of Insurance and Financial Advisors. The Sunday session explored how IUL products work, options available to producers and new offerings coming to market. NAIC Actuarial Guideline 49 (AG 49), which took on Sept. 1, 2015, establishes for policy illustrations a benchmark-crediting rate, one of many moving parts in an IUL policy. The guideline also establishes a ceiling for index values used in policy illustrations, limits loan crediting rates to 100 basis points over a charged rate and requires additional disclosures. Like other NAIC model acts, the guideline is not mandatory for states. But most state insurance commissioners tend to adopt model laws, in part to lend consistency to insurance regulations across state lines. Kemnitz said much is riding on the actuarial change. Consistent with prior periods, IUL sales drove growth of universal life products in the first quarter of 2015, as new IUL annualized premiums increased 11 percent. IUL now represents about half of all UL premium and 19 percent of all individual life premium. Consumer demand for indexed products, which allow policyholders to capture a portion of market returns while also insulating them from market slides, is likewise fueling sales of fixed indexed annuities. In 2014, FIA sales totaled $48.2 billion and now account about for about 21 percent of all annuity sales. The burgeoning sales have drawn closer scrutiny of indexed products among regulators. In addition to the NAIC, FINRA, the SEC and the New York State Insurance Department — which other states tend to look to for guidance on new insurance regulations — are also examining indexed products. Attributes of the products that are so popular among consumers are traditional insurance guarantees (including a guaranteed minimum interest); and the crediting of interest based on external financial index. Among them: the Dow Jones Industrial Average, Wilshire 5000, Russell 2000, Nasdaq, Euro Stoxx 50, Hang Seng, MSCI EAFE and, not least, the S&P 500 index. The last is by far the most widely adopted, used in about 70 percent of IUL products. A leading economic indicator boasting a $5.4 billion market cap, the S&P also represents about 70 percent of a U.S. equity market’s capital total capitalization. Two of the most common interest crediting methods used in policy illustrations, said Kemnitz, are: (1) annual reset design (also known as an annual ratchet design); and (2) point-to-point. The first annually resets the interest-crediting period and starting point. Increases in index values are credited to an IUL policy annually, subject to a participation rate (the portion of an index change that may be credited) and cap (the maximum the policy will credit in a period). Conversely, the policy does not dip in value when an index goes negative; thus, there is a “floor” or guaranteed minimum crediting rate. The point-to-point method measures index changes from the start of a term to the end of the term (potentially several years). Because insurers can easily hedge against index dips at low cost, the point-to-point may yield higher participation rates. These and other widely used crediting methods (Kemnitz also detailed those based on averages and one that uses an annual “high-water mark with look-back”) will now avail carriers of less flexibility to play with the numbers. The standardization of IUL policy illustrations forced on the industry by AG 49 will make such illustrations look like those of conventional UL policies — regardless of the underlying index used to calculate the interest credited. Kemnitz noted that AG 49 reflects in part the views of mutual insurers that sell whole life, but not UL or IUL products. As a result, the NAIC model act remains a significant point of disagreement within the industry, as many IUL providers opposed the regulatory change. “[AG 49] is a big deal,” said Kemnitz. “The differentiation in product design will shrink among IUL carriers. He added that best-of-breed providers mandate reasonable crediting rate assumptions in their policy illustrations. Examples: Valmark Securities, which requires advisors to peg the rate at a maximum 5 percent rate; and Raymond James, which limits the rate to 6 percent in illustrations. IUL: the “next best thing” to a retirement income supplement?